To a non-Japanese speaker, and indeed to a non-native speaker, the slight variations in spellings and pronunciations can prove problematic. Many words seem similar though in Japanese they hold a vastly different meaning. 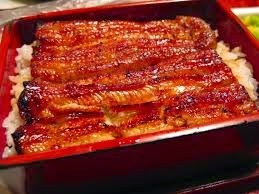 Unagi is the word for fresh water eel whereas anago is the word for saltwater eel. It's interesting that in English there is only the one word - eel, something of a "but why?" moment. It becomes important when it comes to pronunciation though. 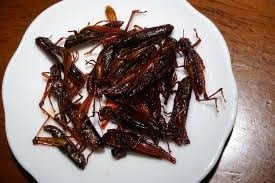 If you order a plate of unago and your pronunciation is slightly off and it sounds more like inago, you will receive a plate of lightly fried grasshopper instead. Bon appetite! The Japanese word for sea eel is not unago but anago.